Harvey Causon is a Bristol based singer/songwriter and producer. Calm and understated he is known for his powerful, brooding vocal, oscillating instrumentation, and percussive electronica. 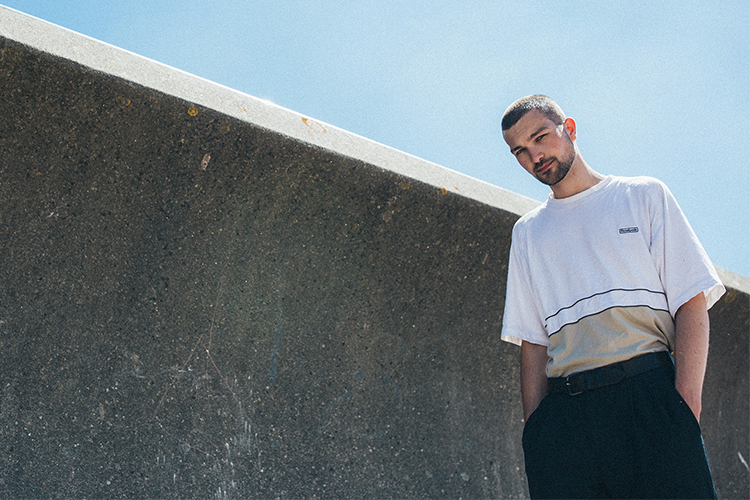 Harvey writes and produces his own tracks, as well as collaborating with producer and flatmate, Gabriel Gifford. The pair are set to release the full EP 'Murphy's Hand' at the end of July. Harvey’s lyrics are introspective and explore anthropology, architecture and romance. Live, he performs with collaborator Gifford and drummer Ben Toon, blending dub tinged rhythm with a deft take on contemporary R&B. At just 20 years of age he’s been made BBC Radio 1 Introducing’s artist of the week and has a Maida Vale Session to his name. His most recent collaborative releases 'Worn You' and 'Branches' have been playlisted by Radio 1 as the BBC Introducing Track of the Week, and added to the Burberry and Radio 1 Spotify playlists. Harvey's first headline shows are not to be missed. We wanted to find out more so asked in our 10 Questions! I mostly discover new music through tracking down and following my favourite artists on Spotify or whatever they use and then rinsing their online playlists. I usually like their influences and then do the same for them... the cycle never ends. But nothing beats word of mouth, finding out what mates and what my contemporaries are listening to or going to gigs and festivals and seeing good support bands or something new. If I had to choose the first song I properly fell in love with it's got to be BTSTU (demo) - Jai Paul. It hit me like a brick that song opening up so much inspiration to combine genres using live and sample based music. I love the unfinished demo vibe of it and the fact that it’s left such a mark alongside 'Jasmine'. I want to collaborate with Romare, Bonobo, Taylor Mcferrin, Photay…. the list could be pages long. I’d love to get the BBC Radiophonic Workshop’s White Noise album. One of the last to be curated solely using hand cut and stuck tape and Delia Derbyshire’s music, posthumous legacy and her being so ahead of her time is a big inspiration for me. Right now, a band called iZem and this song called 'Barry White (ft.ZelooperZ)'… it goes in. 'Tommy' - Tommy Genesis, it’s not really a guilty pleasure, I worship her. London Stock, we usually finish on it, it’s out towards the end of the year but we play it well together as a band and it feels good to see audiences dancing (it’s a bit more upbeat). I wanna play at Motion in Bristol, it’s a big club and it’s cool and I’ve seen some favourites there on bigger tour.